South Crestview, the best location to the bases, shopping, restaurants, and entertainment. 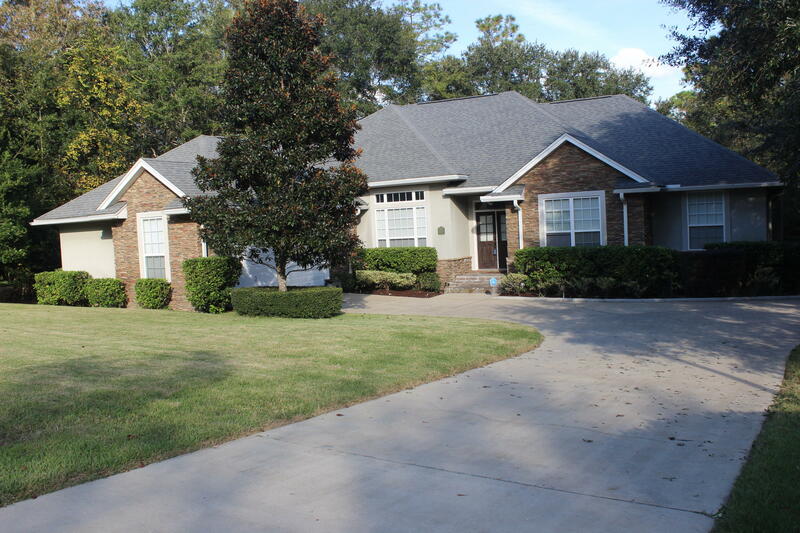 This well built home is built by one of our upscale Destin builders offering many features. Freshly painted this open living with split floor plan home features: high ceilings, tray ceilings, crown molding, large rooms, tile, and hardwood flooring in the dining room and foyer. The large gourmet kitchen features a gas oven, granite counters, custom cabinets, pantry, center island and breakfast nook. The living room features a tile surround gas fireplace, and tray ceiling that leads to a huge screened in porch with a wooded view in the back yard. The master suite features a sitting area, tray ceiling, huge closet, double vanity, jetted tub, and separate shower. Large laundry room with sink .